Is hardwood flooring a good idea in your kitchen? Yes! Laminate brings look of nearly any hardwood with much easier maintenance requirements. In fact, many laminate floors are moisture resistant making them excellent candidates for your kitchen. 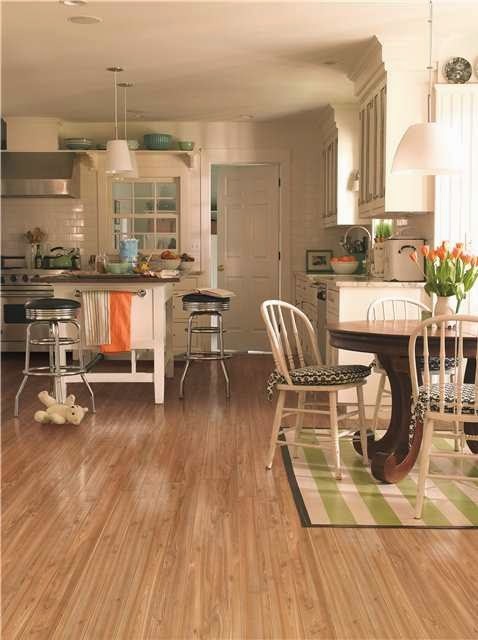 Kermans is your best source for laminate flooring in Indianapolis. Learn more about laminate flooring. A relative newcomer to the Indianapolis hardwood flooring market, bamboo offers the natural beauty of a hardwood and the moisture resistant qualities of laminated wood. Bamboo floors come in a variety of shades and carry the extra benefit of being an environmentally friendly flooring choice. Learn more about bamboo flooring. 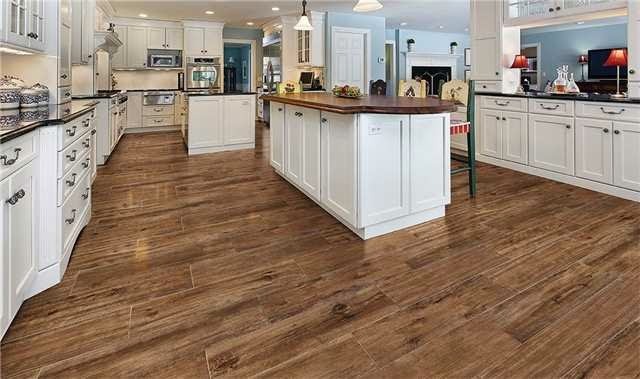 Cork might be one of the best wood flooring options for your kitchen. It is highly durable, comfortable, versatile and water resistant! Learn more about cork flooring. Clean up spills immediately with a clean towel. Do not use cleaning products regularly. Use them to spot clean only to help maintain your wood's finish. Place floor mats at entryways to collect dirt that might be tracked in. Never wet mop your wood floor. Kermans is Indianapolis best resource for hardwood flooring. From traditional, solid hardwood to laminate floors and creative wood floor options like bamboo or cork - Kermans has you covered! Stop by our showroom on the northside of Indianapolis to see our selection. We think you'll be surprised at the variety of options and prices we have to offer!